Fully-Adhered roofing systems have popularly been used since the mid 1960’s. These have minimal membrane fluttering and look aesthetically appealing. This is because every sq-ft of the membrane is well-bonded to the insulation. Manufacturers also give these fully-adhered roofs the topmost wind ratings. Just as building designers pay a lot of attention to the actual structure of the house or building, they also want the roof system to be stable and aesthetically appealing. This is even more important when a large portion of the roof structure is visible from the ground. Vinyl profiles are firmly welded to the roof’s membrane surface. This simulates the look of a classic standing-seam metal roof & is a very popular option for all types of steep slope installations. These membranes are available in a range of colours and can be matched to the look of the structure. Customers can choose from standard and custom colours to match their specific requirements. Adhered roofing systems all rely on their rigid insulation which has to be fastened down very thoroughly. Resultantly, these roofing systems have fastening-patterns of 12-24 fasteners/4’by8’rigid-insulation board. These are significantly higher compared to the 5-8 fasteners that are used in the traditional mechanically attached roofing systems. And so, you will find that adhered roof systems have much more fasteners installed compared to mechanically-attached roof systems. These systems are the perfect choice for structures where high wind ratings are required. Just like the conventional mechanically-fastened roofing, the rolls of an adhered roofing system are bonded based on the type of system used on the roof. For example, in the EPDM roofing system, once the 1st roll has been glued down, the 2nd membrane roll is rolled out right next to the 1st one. After that, the perimeter of the 2nd roll is thoroughly cleaned & primed & covered with seam tap right from the 1st EPDM membrane roll. Installation of a roof is a significant investment and it becomes important for homeowners to be aware of the basics of the different systems available and what their pros and cons are. The one way to ensure you have an efficient adhered roofing system is to get the installation done from a well-established company. 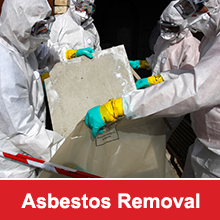 This will assure you that the roof you install will give you years of trouble-free service. For more information about adhered roofing systems, call R.O. 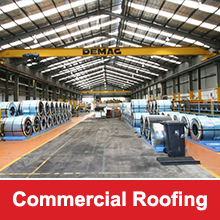 Steel Roofing Pty Ltd on (02) 9660 5937 or send us your enquiry via our online form.